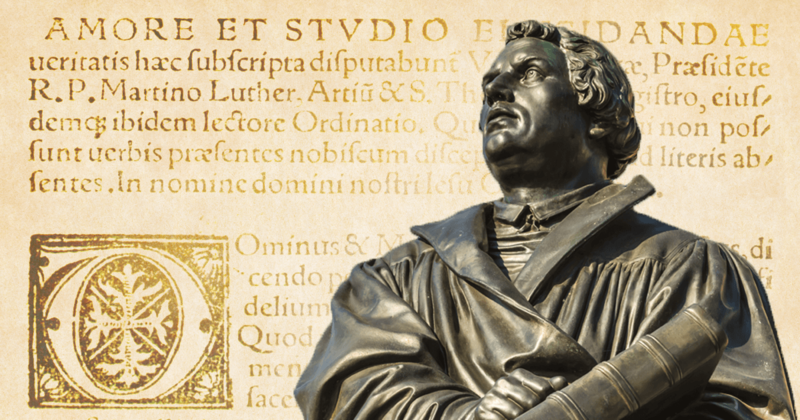 The Roman Catholic Church had two major theological pillars that influenced the shape of the Reformation. We’ve seen already, how their soteriology influenced the theological response of the reformers, but their ecclesiology was equally important. In particular, the Church’s view of Papal Primacy became a significant touchstone of reformation theologies. The spread of this authority began with the drawing of a distinction between professional clergy and lay Christians. Clergy were to be distinct and separate in marked ways. Celibacy became the mandated lifestyle of those in ministry, something that previously had been reserved only for “specialists,” like monks. It became official church policy in 1139. The centralization of church power and its structural organization made the Church a strong force throughout Europe. This was further strengthened by the church’s wealth, including significant land ownership. For all of the Church’s growing temporal authority, it was the Pope’s authority over matters related to salvation that struck fear even into the hearts of Emperors. The Pope, for example, had sole authority to deliver souls from purgatory. In addition, he could withhold the bread and the cup from others, or excommunicate them from the church all together. A few rulers were threatened with just such consequence. All authority was given to the Pope. His jurisdiction was not merely over all of life in all of Europe, but over the afterlife too. He could also free people from Purgatory, transfer them into heaven, manufacture new doctrines apart from any Scriptural support, and maintain control over even the merits of Christ, His mother, His apostles, and the saints. As much as the Mass and Purgatory remained central features of the religious life of the average Christian, the Pope himself was at the center of their lives. Papal authority was not declared official church dogma until 1870, but the roots of it were already deep. It was, indeed, a pillar of the church on the eve of the Reformation. The question of the Pope’s jurisdiction was a matter of serious question at the time, even before Luther. Next week we will explore that reality in more detail.